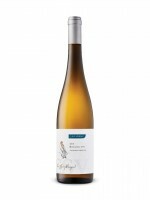 Niagara Riesling specialists Cave Spring Cellars recently staged a 16 vintage retrospective tasting of its flagship CSV Riesling. Winemaker Angelo Pavan used the opportunity to outline the evolution in grape growing and winemaking that has transpired at the Beamsville Bench estate since the debut CSV vintage in 1999. The top-of-the-line label comes from two blocks planted in 1974 and 1978 at Cave Spring Vineyard, located at a rare northwest facing spot on the Niagara Escarpment that extends exposure to the afternoon sun. The 2015 stands out as an instant classic thanks to its incredible balance and purity. Pavan credits the wine's steely character and rich texture to skin contact (50 percent of the batch spent 12 hours soaking on its skins) and judicious blending of batches fermented with indigenous yeast and selected yeast strains. The youthful nose offers a beguiling mix of fruit, herbal and floral notes, while the palate is richly concentrated and balanced by mouthwatering citrussy acidity that carries through to the refreshing and persistent finish. Highly Recommended.